Prospect is a digital service that enables volunteer organizations to more effectively leverage their networks and experience to help resettled refugees find jobs and restore their independence. When refugees arrive in the United States, they get a small amount of support from the government, but it often only lasts a few months. Refugees need jobs, but the obstacles they face before looking for employment are enormous. They include learning a new language and culture, finding childcare, figuring out transportation, and completely rebuilding their personal and professional networks. This is made even harder for those who are coping with trauma from their past. Resettlement agencies are tasked with helping refugees regain self-sufficiency, but many are under-resourced and understaffed. That’s where volunteer groups, like the Refugee Employment Task Force, come in. The Task Force is a group of about a dozen volunteers established within the B’nai Jeshurun Synagogue in the Upper West Side. Now a mix of synagogue members and nonmembers, they help refugees find jobs by leveraging their own networks and experience. Volunteers spend time understanding employers’ needs and refugees’ capabilities, and only propose candidates who are highly likely to be hired. Over the past year, the Task Force has worked with a few dozen individuals, helping 20 refugees get hired at more than 10 companies. But like many ad hoc volunteer groups, they lack an efficient way to manage information and relationships, which may result in potentially life changing opportunities slipping away. 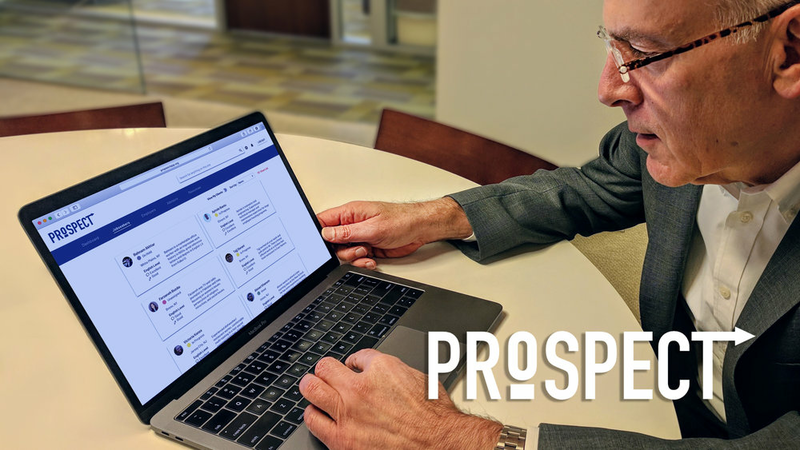 Prospect is a platform that gives volunteers one place to store jobseekers’ information, as well as keep track of the group’s latest employment opportunities. It’s designed specifically for volunteers to focus on building meaningful bonds with refugees and connect them with the jobs they want and can excel at. With Prospect, volunteers will be empowered to help even more refugees gain independence as they restart their lives.